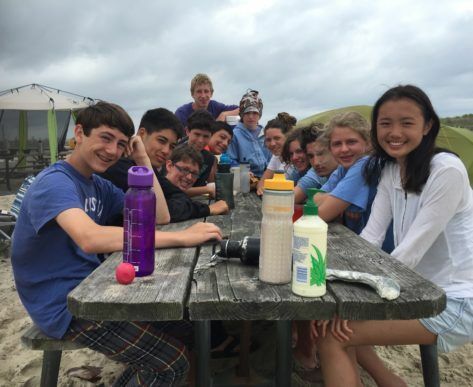 Campers get the opportunity to participate in 5 of our BEST ACTIVITIES! Each day they’ll try and experience something new, building skills and friendships along the way. Monday: Rafting on the Potomac Gorge — Introduce yourself to white water by paddling the Potomac Gorge. Get ready for the waves! 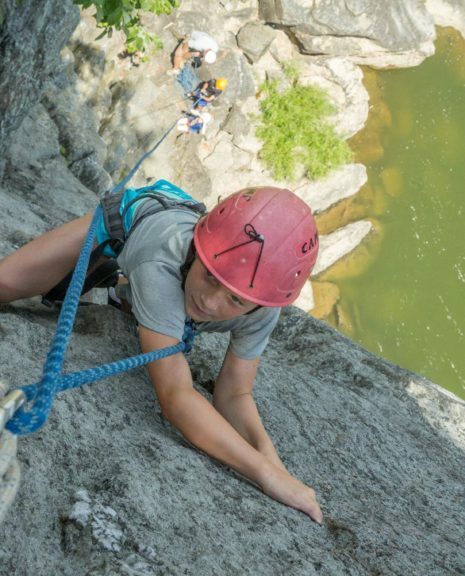 Tuesday: Climbing on campus — Learn what it takes to climb REAL rock on location with our own private routes! Wednesday: Water Adventures on the Potomac — Ever gotten the chance to rope swing, fish, or hunt crayfish? How’s exploring islands on the Potomac in a 20 person war canoe sound? Thursday: Land Adventures — Swing through the trees on our very own Challenge Course or navigate through our 300+ acres of riverfront forest! Friday: Stand Up Paddleboarding on the Potomac — Test your balance while riding through rapids at Maryland Chute. Don’t worry, there’s time to build your skills so you can surf those waves! Thursday Night: A select few can opt to stay over on campus and take part in an EPIC campout that includes an additional adventure! 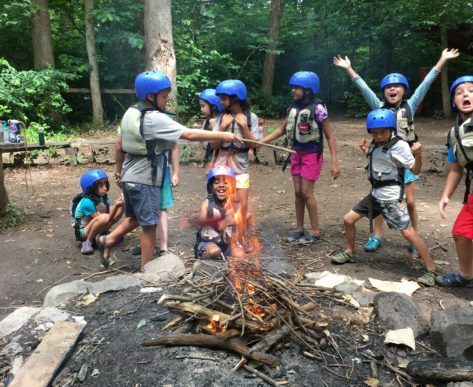 Activities could include getting on the Calleva Aerial Course, night rappelling, or night hiking, all with campfires and smores! Campers will participate in full days with their groups on both Thursday and Friday, but will depart for their extended experiences once the rest of camp heads home. Only 12 campers can participate in this Thursday Overnight led by one of our two experienced Directors! All overnights take place on Campus in Great Falls Va.
Rafting: There are two themes in Rafting, FUN and TEAMWORK. 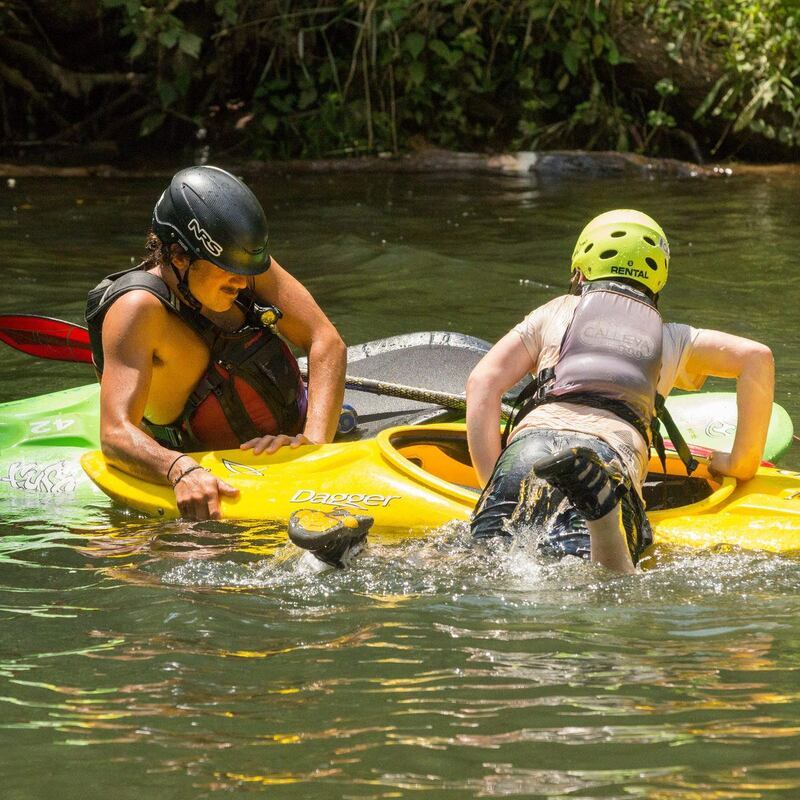 As soon as we arrive at the put-in campers will have to work together to get down the river. Along the way rafters will learn about how rapids form, how to successfully guide a boat, and how to “read” a river, making sure to hit the biggest and best whitewater along the way! Not to mention being on (and in!) the water is a great way to beat the summer heat! SUP: We have taken all of the best parts of kayaking, canoeing, and rafting, and combined them into one activity, creating our Standup Paddleboarding aka “SUP” program! A day of SUPing will begin with basic SUP skills and techniques, and then potentially moving on to white water! Campers will progress to become comfortable and confident paddlers by the end of the day. 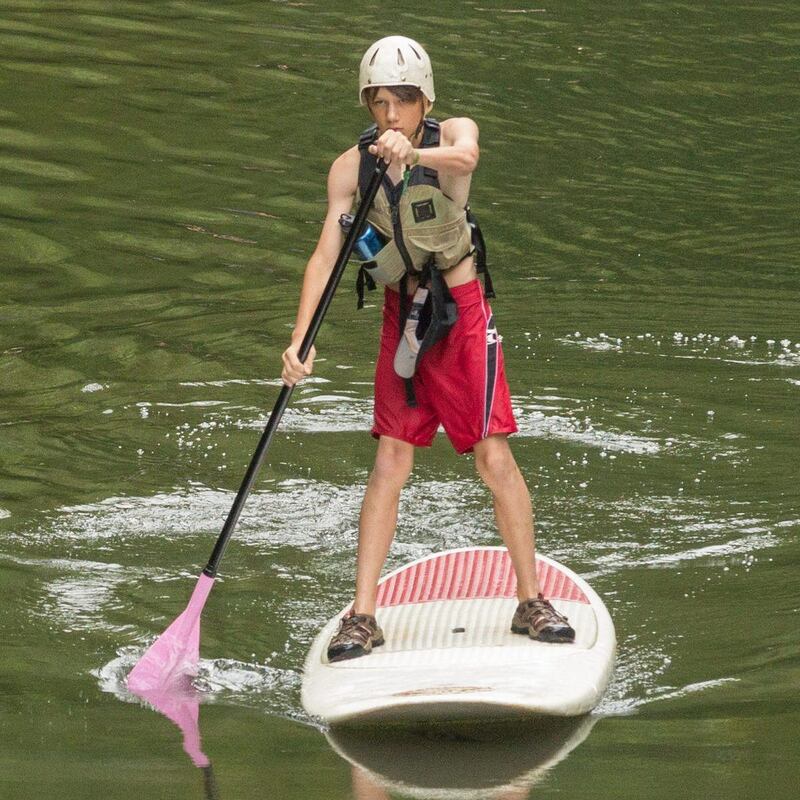 During our SUP adventures we will play games, tackle challenges, and punch through some beautiful Potomac whitewater! Climbing: “On belay?” “Belay is on.” “Climbing?” “Climb on!” Communication and partnership are the foundation of rock climbing. Campers will need to work together, problem solve, and encourage each other both on and off the rock wall. Everyday the instructor will set up a range of different climbs and possibly rappels for the group. Throughout the day the Calleva staff will use games and fun to teach climbing technical skills and knots. 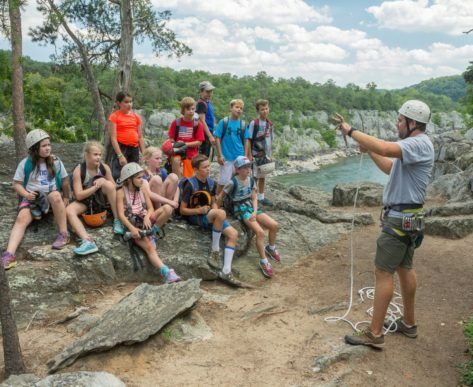 Climbing campers may also have the opportunity to learn how to belay (with a backup) to further ingrain the sense of partnership between the belayer and climber. Water Adventures: There’s no better way to beat the summer heat than by spending all day in the water! 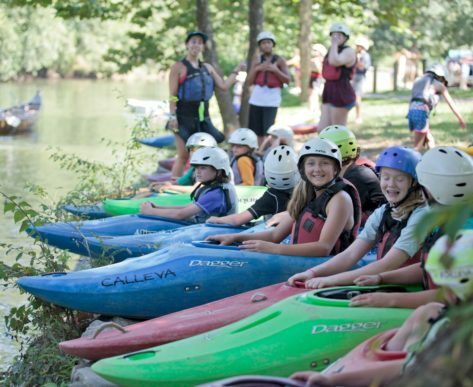 In Water Adventures, campers will participate in a variety of activities, all focused around Madeira’s beautiful riverfront property. Campers may find themselves fishing, canoeing, exploring nearby islands, navigating the river and taking time to enjoy the cool water. There’s also always time for a rope swing, or quick dip in Black Pond! 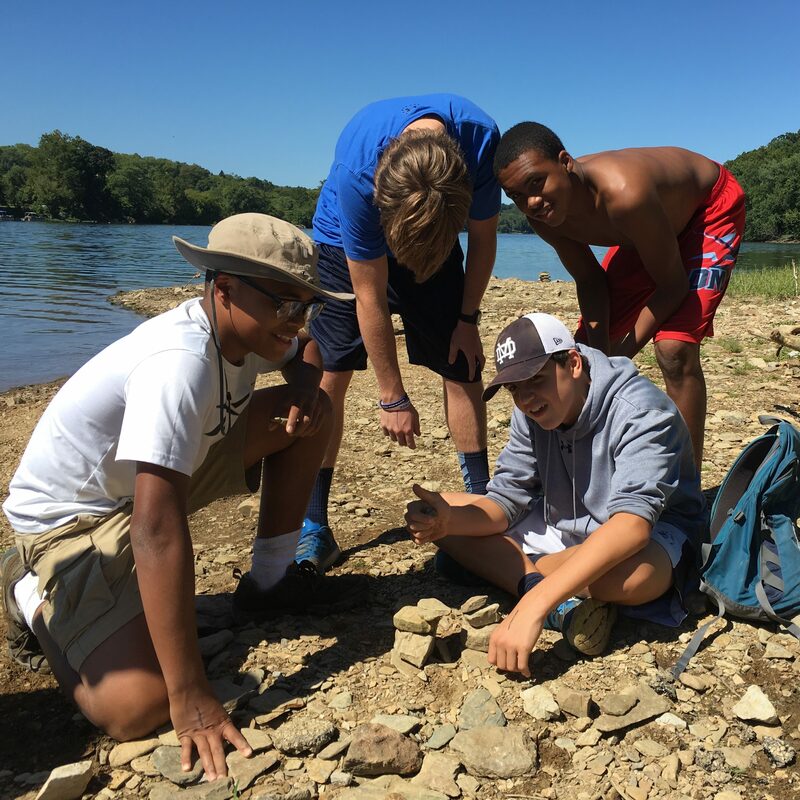 Challenge Course Adventures: Campers will get the opportunity to challenge themselves and work with their group mates on the expansive Calleva Challenge Course. They’ll have to work closely with their group members to solve ropes course challenges, building trust and new friendships along the way! They’ll also find themselves zip-lining and swinging through the trees as they get to experience the best activities the challenge course has to offer! Please Note: Calleva provides all safety/technical gear for participating in any activity. Daily sampler itineraries are based upon Day 1 of the Adventure Camp activity itinerary for each experience. All itineraries are subject to change due to staff/director decisions based upon skill levels, age, water levels, environmental hazards, and other factors. Rain Plan: We are aware that there are concerns regarding Rain & Storms at camp and especially on overnights. 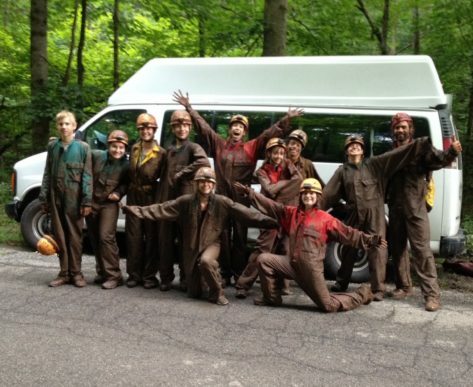 For any programs that we can continue to do the activities with happy campers we will do so. If for any reason the rain or storm has us stop the activity, then all groups have an alternative plan and location under cover. For adverse weather (such as severe storms), all activities have nearby shelters or use Calleva bus as a temporary shelter.